The increasing complexity of interdependence between people in modern life makes it more important than ever to understand processes of human relating. In the West we tend to base our understanding of relating on the individual. · who am I and how have I come to be who I am? · who are we and how have we come to be who we are? · how are we all changing, evolving, and learning? 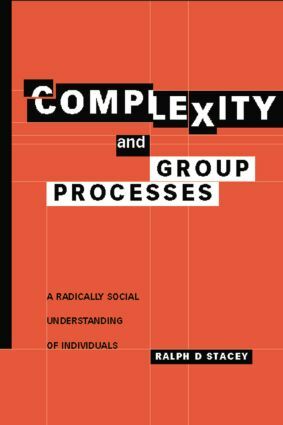 These are fundamental questions in the study of human interaction, and the answers explored in Complexity and Group Processes are highly relevant not only for therapeutic groups but also those who are managing, leading and working in organizations.